144Hz gaming monitors are, most of the time, more expensive than your average home or office display due to the technological advancements in each device. We often get inquiries regarding 1080p gaming monitors that sell at $250 bucks or below from our thrifty readers who are looking for high-performance options that don’t cost an arm and a leg. That’s easy since there are a lot of 24-inch possibilities, but what if the user wants a more extensive, 27-inch screen? 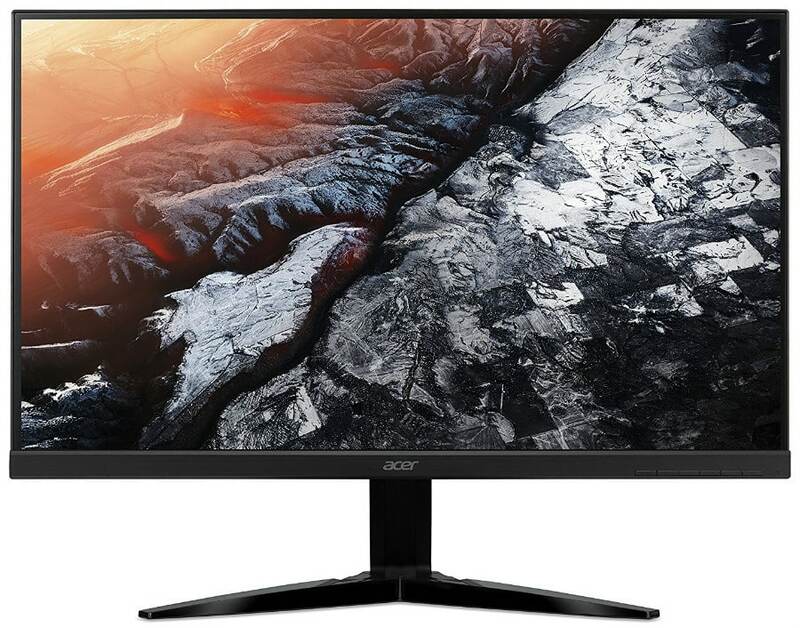 Enter the Acer ED273 (Abidpx) and the Acer KG271 budget gaming displays which offer a 144Hz refresh rate and a larger, 1080p screen. These two value offerings do not provide dazzling calibration results or the fastest outputs, but it’s hard to argue with a 144Hz display at more or less $250. Both monitors are also 27 inches with a 1920 x 1080 resolution which is a better size for entertainment purposes. Why Go for 27 Inch 1080p Gaming Monitors? According to community feedback, even if this monitor size appears less crisp and detailed, it still is preferred for E-Sports titles like CS:GO. The main advantage is that small or distant objects such as peeking heads are easier to see on the screen than on an alternative with a tighter pixel density. Being first to spot little details like this is crucial to success in a high-intensity match. It’s also a known fact that the best professional E-Sports athletes prefer the lowest detail to maximize FPS and get rid of unnecessary objects such as foliage. Hit detection is much easier to achieve on simplified 3D objects on the screen, so ultra graphics settings are usually avoided. If this is the case, then a crisper or sharper display isn’t necessary to the E-Sports gaming formula. The main difference between the Acer ED273 and the Acer KG271 is the panel technology used. The former utilizes a curved VA panel while the KG271 has a faster TN panel. Of course, there are trade-offs when you choose one over the other except for what matters most which is the 144Hz refresh rate. 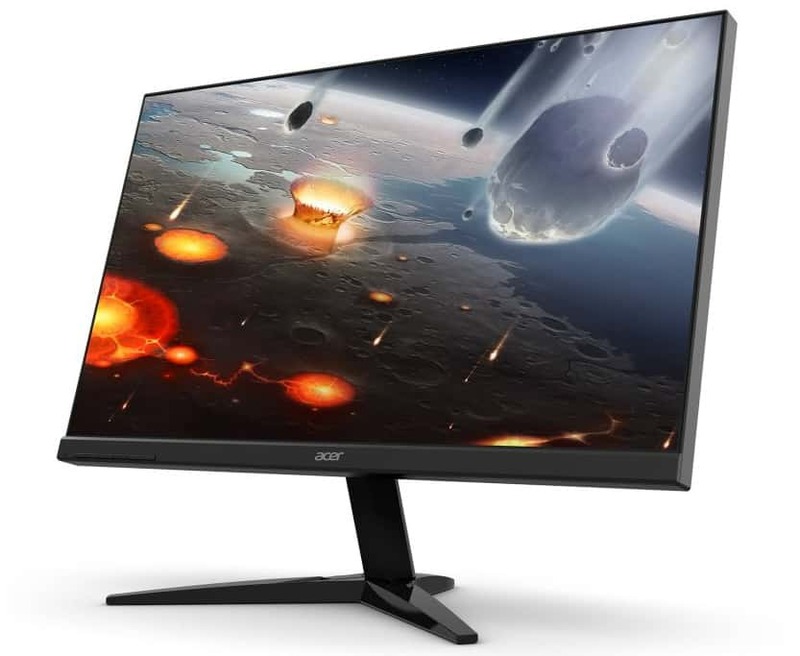 The Acer ED273 comes in different trims, so make sure to get the product with the Abidpx suffix to ensure that you are buying the 144Hz variant. This option has a slower pixel response time, so it is prone to a bit of blurring in some random circumstances. However, the benefits in the form of more profound contrast and color far outweigh the caveats. 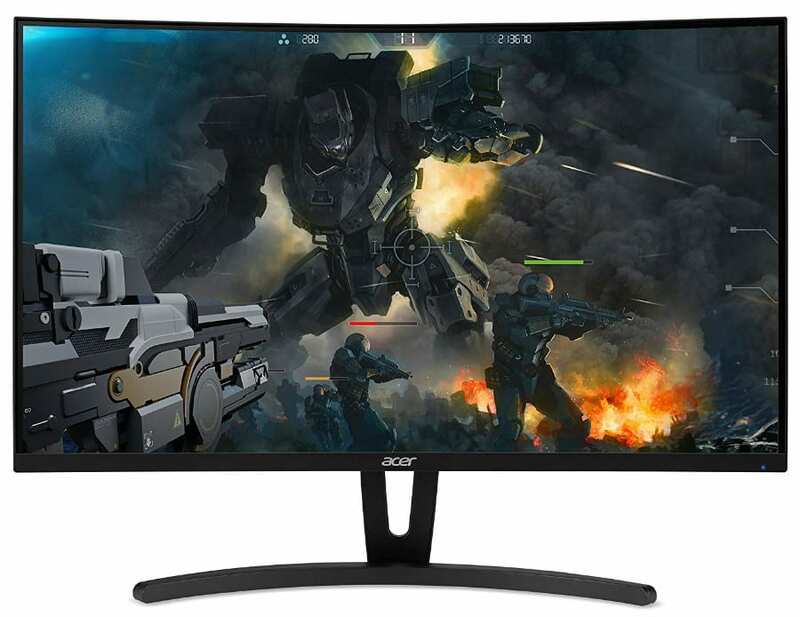 On the other hand, the Acer KG271 is a TN-based gaming monitor that has a faster panel making it the preferred option for fast-paced gaming. The KG271 responds to motion better, but it has a slight disadvantage in vibrancy and a substantially lower contrast ratio despite having a native 8-bit interface. The KG271 also comes with FreeSync, so AMD GPU users get to enjoy buttery-smooth visuals without tearing or stuttering. There may be differences, but the Acer ED273 and the Acer KG271 share common traits which helped the brand sell at prices this low. Both monitors have tilt-only stands. However, the newer KG271 includes VESA mounting while the ED273 does not. The former also sports a classy look, whereas the counterpart has an edgy, gamer-centric scheme. When it comes to responsiveness, both monitors do exceptionally well since they do not exceed the 10ms threshold. We at Monitornerds consider this the limit for displays which can be regarded as the best solutions for competitive gaming. However, take note that most gamers will be hard-pressed to notice the difference between a 4ms, 6ms, and 10ms input lag from gaming displays. Why Should I Buy the Acer ED273 and the Acer KG271? Both monitors are undeniably affordable for their size and capabilities. There are excellent budget monitors like the sub $200 AOC G2460PF; however that, and most similarly-priced alternatives have smaller panels. With these two monitors, it’s ensured that every dollar you spend goes to the product’s central capability (The 144Hz refresh rate) and the display area instead of unnecessary extras. These two options are also suitable for you if you are also in the same place as some of our readers who are looking for stop-gaps before upgrading to the big dogs. Sophisticated monitors like those with G-Sync or HDR often don’t come cheap, so spending too much on a display you will soon replace isn’t practical. If you want to join in on the action now and experience faster, and smoother visuals, the Acer ED273 and Acer KG271 are the best affordable options you can buy now.